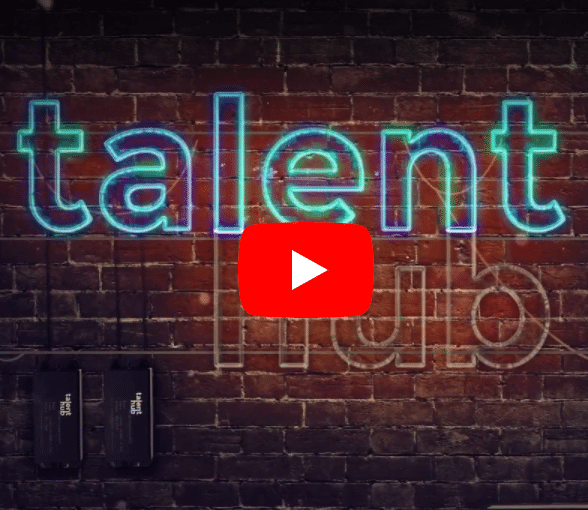 Talent Hub is proud to introduce the ninth episode of the Talent Hub TV series, from Dreamforce 2018 in San Francisco. Here, Talent Hub Director, Ben Duncombe meets respected Salesforce professionals and thought leaders to learn more about their fascinating stories and industry insights. This month’s guest, Gemma Emmett, Solutions Architect Manager and Golden Hoodie holder from the UK, joins Ben for a break between in sessions in Moscone, to give insight into the innovative work she does within the Salesforce community. Gemma founded the Ladies Be Architects group, which builds confidence for women on the Salesforce Certified Technical Architect path globally, and runs virtual study groups and content for both men and women, amongst a host of other inclusive support initiatives. Having spent 10 years in the Salesforce market, Gemma shares with Ben how she originally became involved in the space, and what her own journey has meant for her, both professionally and personally. Talent Hub Director, Ben Duncombe asks Gemma her views on how to approach preparing for the CTA, allies, the importance of equality and diversity within the tech industry, the evolution of the Salesforce Ohana, Gemma’s exciting goals, and how she has spent her time at the one and only Dreamforce this year! We were so grateful that San Francisco gave us the opportunity to sit down with such an inspiring woman from the other side of the globe, and this inspirational episode is one not to be missed. Find out more about the Ladies Be Architects movement, no matter where you are in the world. If you’d like to watch Gemma’s inspiring Trailblazer video, and learn more about her journey, she writes a fantastic blog, Always A Blezard. Thank you for watching, and stay tuned for Episode 10, coming next month. Remember, you can subscribe to our YouTube channel for additional video content, including our Dreamforce 2o18 highlights including snaps with the winner of our 2018 Dreamhire competition, Santhosh Lakshmanan. Talent Hub has been briefed on a number of career-enhancing opportunities recently, and so make sure you visit our Salesforce jobs page for up to date roles, and for your own chance to win a trip to Dreamforce in San Francisco.